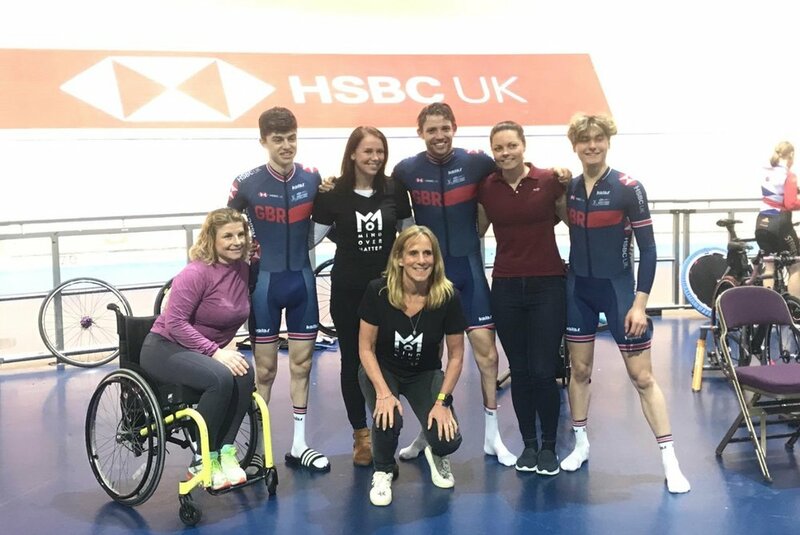 As part of the Mind Over Matter team’s training for RAAM they visited the Manchester Velodrome to meet up with the GB Paralympic Cycling team in a session organised by the the British Cycling Association. Yesterday was so much fun! I got to meet 6 of the amazing 8 women heading Ride Across America in June. 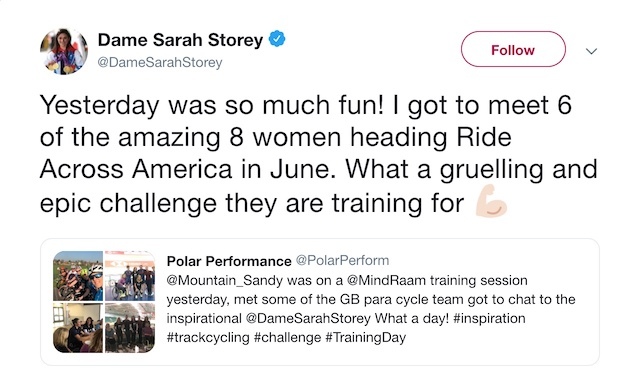 What a gruelling and epic challenge they are training for.